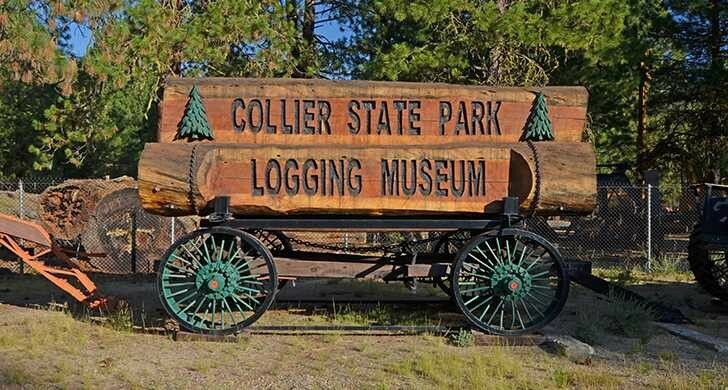 Collier Memorial State Park features a campground; outdoor museum of historic logging equipment; relocated pioneer village; and a new four-corral, primitive horse camp and trailhead. At the state's finest logging museum, you'll see rare and antique logging equipment dating to the 1880s, as well as more recent pieces.Railroad buffs will enjoy learning about the role the railroad played in logging. You can imagine the rugged woodsmen and the immense task of moving raw timber with innovation and brute force. The pioneer village gives you another insight into how these families once lived.The Williamson River and crystal-clear Spring Creek converge in the park. 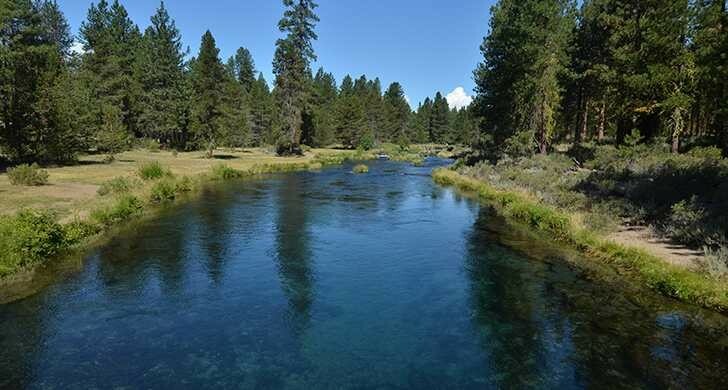 The Williamson River is regionally famous for its quality trout fishery and consistently produces trophy fish. Spring Creek gushes dramatically out of a nearby spring, and then paints a picture-perfect scene as it flows through the park. In the summer, movies about old-time logging and other topics are shown at 9 p.m. every Friday, Saturday, and Sunday. The series continues right through Labor Day. During the day, the park naturalist schedules short hikes along the Williamson River. Check the park when you arrive for a list of times. 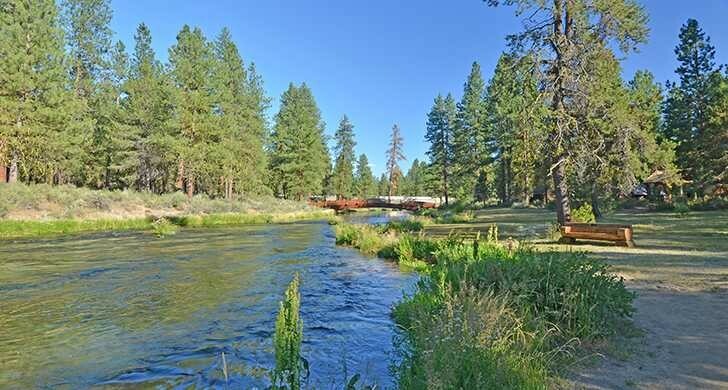 From the equestrian trailhead, you can ride north from the park across national forest land to the Jackson F. Kimball State Recreation Site and beyond. 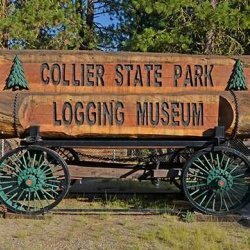 Whether you come for the day to visit the logging museum, the pioneer village, or play along Spring Creek or even camp amongst the pines along the Williamson River - you'll discover a grand adventure at Collier. Campsite A30 is accessible to campers with disabilities.